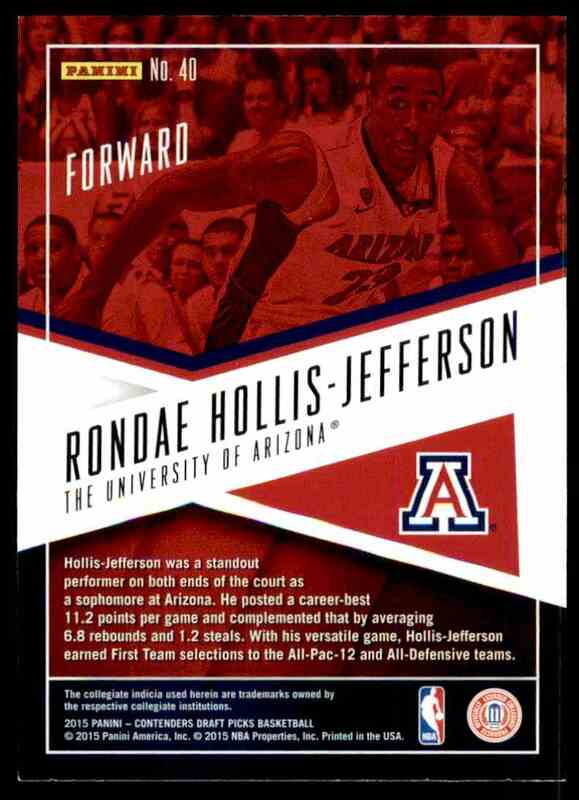 This is a Basketball trading card of Ronde Hollis-Jefferson, University Of Arizona. 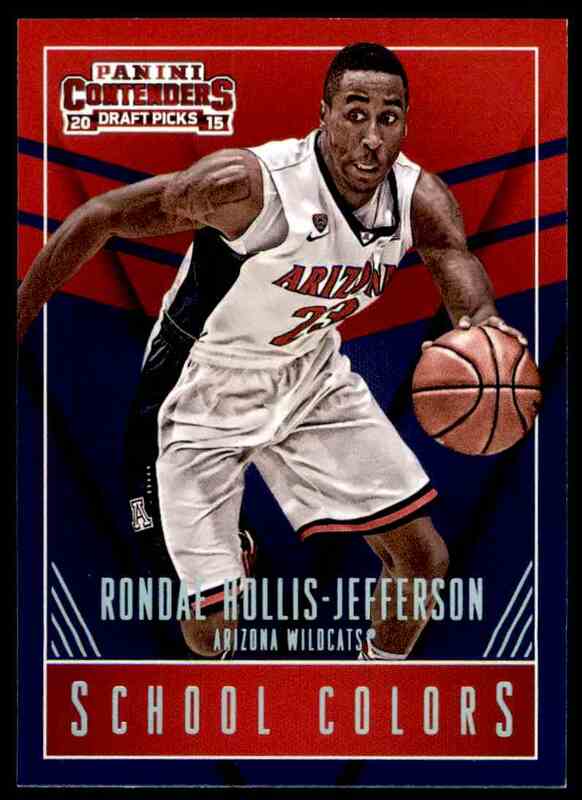 It comes from the 2015-16 Panini Contenders Draft Picks set, card number 40. School Colors. It is for sale at a price of $ .99.